I thought James Stewart had fluffed it in his attempts to triumph in his first round FA Cup of Actors match against laughing boy, Gael Garcia Bernal. 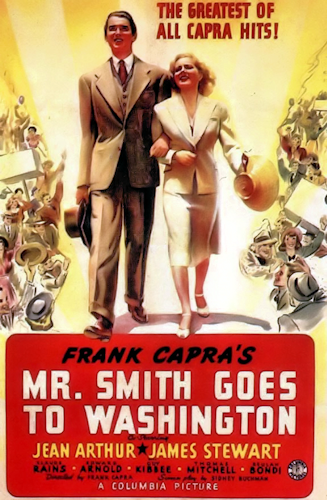 Mr. Smith Goes to Washington is so saccharine sweet in the opening scenes that I thought I was in danger of redecorating my fine room with regurgitated Super Noodles. The children in particular are completely cringeworthy, almost making it unwatchable. Luckily things improve. 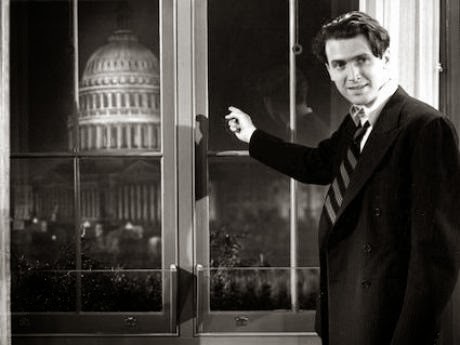 Mr. Smith Goes to Washington tells the story of what happens if you take an ordinary bloke (James Stewart in one of his many 'everyman' roles) and make him a senator. 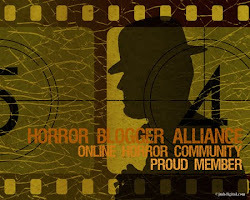 (A similar idea was explored in Harold Lloyd's The Cat's Paw albeit with the added threat of beheadings.) 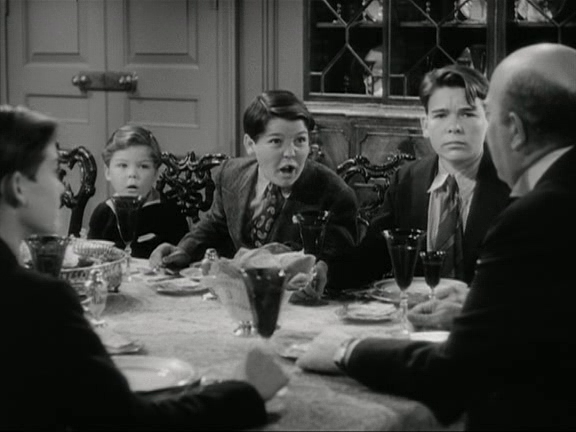 Jefferson Smith is chosen by a group of corrupt politicians and businessmen led by Jim Taylor (Edward Arnold) and Senator Joseph Paine (Claude Raines) who need someone naive to go along with them and vote as they do. They especially need him for putting through a bill for building a local dam that will provide a fair bit of work (and money) for Taylor's company. Smith has different ideas. 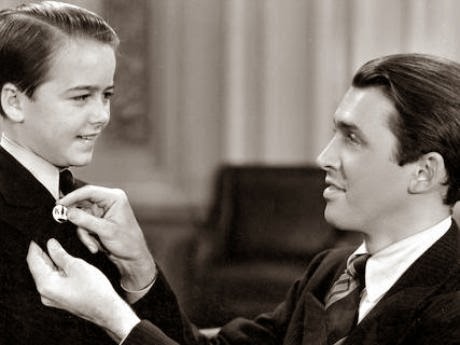 Being a Frank Capra film you can pretty much tell where it's going right from the off. 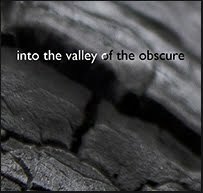 Yet I couldn't help but getting carried along with Smith's plight. He's got a bit of a Naruto type personality in that even when the odds are completely stacked against him, he won't give up. 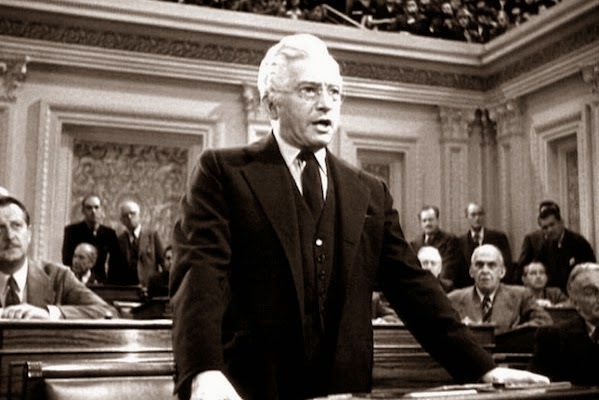 The latter half of the film has him holding the floor of the senate for hour after hour to prove his point. The rules state that as long as he doesn't leave the room or sit down he can carry on speaking. Which he does. For a long time. The whole issue of toileting never comes up. Maybe he just has a sneaky little trickle like the woman in Threads. The script is great and has moments of brightness followed by everything going wrong with Smith getting hammered by the Taylor political machine. (His goons go so far as to use their trucks to ram paperboys off the road. Not polite or particularly pleasant.) 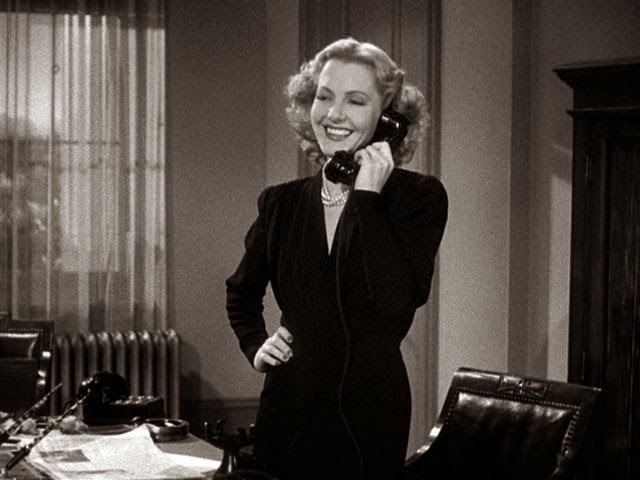 There's also time for a small portion of love story with Smith and his aide Saunders (Jean Arthur) who initially is in league with Senator Payne but - amazingly enough - gets won over by Smith's boyish charm. Supposedly on its initial release it didn't go down too well with the Senate. They didn't like the fact that it made them all look like corrupt mouthpieces led by outside industries and vested interests. Erm, surely that's the definition of the word 'politician'? 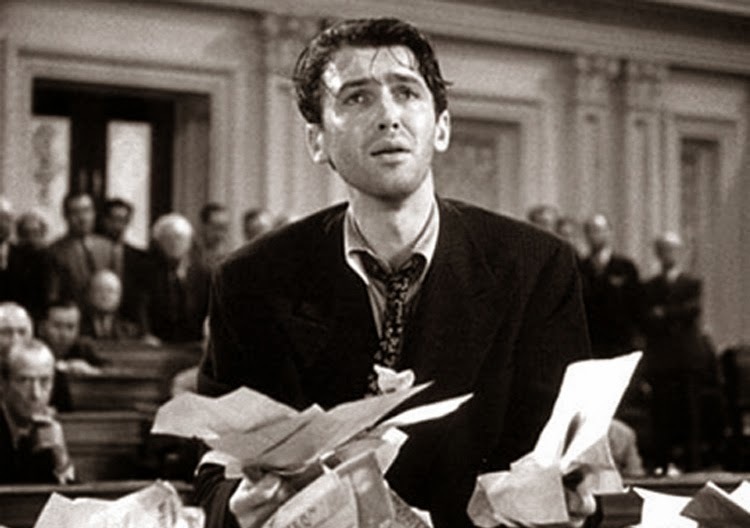 James Stewart is perfectly cast in this role. Now I know he goes a bit creepy and obsessive in Vertigo, but from this performance it is hard to imagine him having a single corrupt bone in his body. My favourite moment has to be when he gets settled in for the long haul in the Senate, takes out a flask and sandwiches from his bag and proceeds to eat them as the Senators return to listen to his rather long speech. I chuckled. So despite having a massively shaky start I was won over by this tale of one man going up against the might of politicians and big business. As relevant now as ever. Anatomy of a Murder, Mr Deeds goes to Town, You Can't Take It With You.